Social Democrat (SPD) leaders must sell the deal to party members before a congress on 21 January where delegates will vote on the agreement, clinched on Friday after 25 hours of exploratory talks. Only then can they move ahead with formal negotiations. 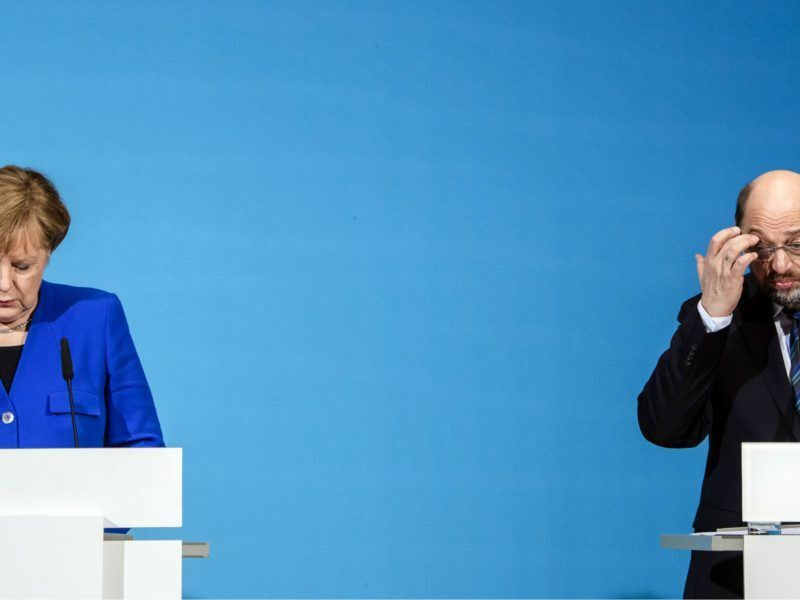 But by holding out to their members the prospect of a better deal, the SPD leaders faced a swift pushback from a senior conservative – sparring that underlines the difficulties the two groups still face before finalising a full coalition agreement. 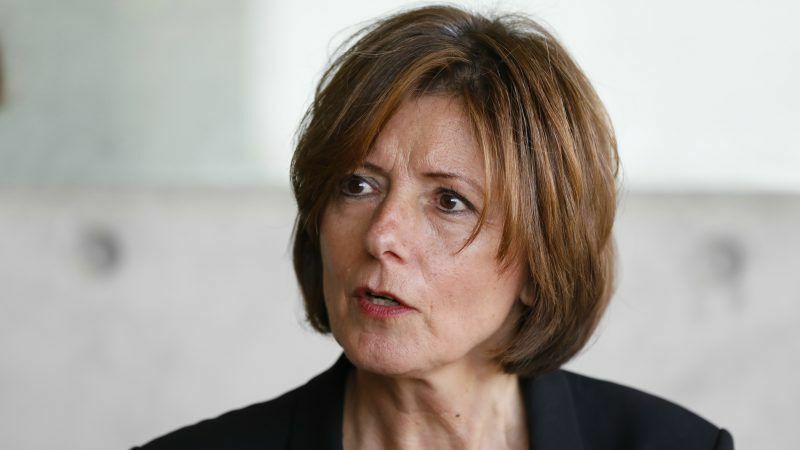 “Negotiations are a different ball game to exploratory talks,” Malu Dreyer, the premier in the western state of Rhineland-Palatinate and an SPD deputy leader, told Funke Mediengruppe. “We will try to achieve more successes in the coalition negotiations,” she added. Julia Kloeckner, a senior member of Merkel’s Christian Democratic Union (CDU), responded to Dreyer by questioning her trustworthiness. “Everything was negotiated in the package, no cherry picking please!” Kloeckner said. An opinion poll conducted on Friday and published on Sunday showed that 56% of Germans welcomed the coalition blueprint, agreed after talks between Merkel’s conservatives and two smaller parties collapsed in November. The survey by pollster Emnid for newspaper Bild am Sonntag showed 60% of Germans believed the SPD congress should give the go-ahead for coalition negotiations, with 30% opposed. Rank-and-file SPD members are still feeling bruised after the party’s worst election result last September since 1933. Party leaders have their work cut out to persuade the delegates to give them the go-ahead for formal negotiations on forming a renewed version of their 2013-2017 “grand coalition” with Merkel’s conservatives. The party’s membership, in a contrary mood after the slump in the SPD vote in the 24 September national election, is wary of its leaders’ calls for the party to step up for the sake of Germany’s stability. On Saturday, delegates at a regional party conference in the eastern state of Saxony-Anhalt voted against pursuing negotiations on a grand coalition despite an impassioned plea by former party leader Sigmar Gabriel to back the deal. Some in the wary SPD rank-and-file believe the coalition blueprint lacks sufficient concessions to the centre-left party. The 28-page document is sprinkled with pledges – on strengthening the European Union, on supporting refugees, on tax and pensions – designed to appeal to the more radical membership. But most fall far short of what the SPD campaigned for in the election. A tax hike for the wealthy or the establishment of parity between private and public healthcare were absent from the document thrashed out with Merkel’s Christian Democrats (CDU) and her still more conservative Bavarian CSU allies. “The exploratory talks laid a foundation, not more, not less,” Thorsten Schaefer-Guembel, another senior SPD official, told Bild am Sonntag.